Madison County features some of the state’s most breathtaking parks. 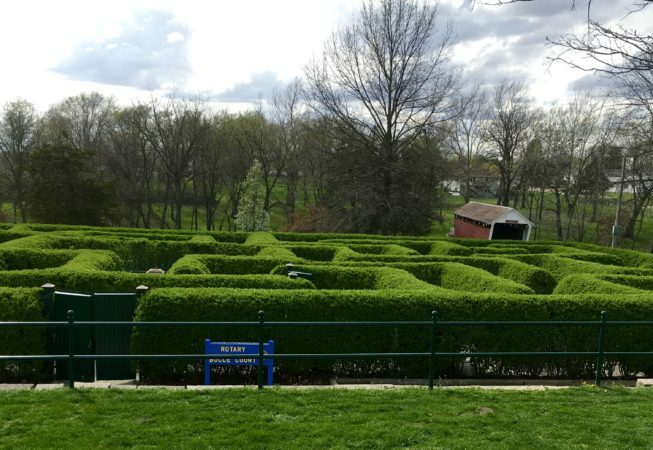 In Winterset, the City Park consists of 76 acres and features three beautiful limestone shelter houses, play equipment, restrooms, picnic areas, campground, sand volleyball court, and a well maintained hedge maze. Cutler-Donahoe Covered Bridge is also located in the City Park, as well as Clark Tower. Other city parks include Whistle Stop, Memory Lane, and Carver Memorial Park, to name a few. More information about parks in Winterset can be found at cityofwinterset.org/park-facilities/. The Madison County Conservation Board is responsible for managing 13 County Parks that are located in rural areas, with many options for picnicking, hiking, fishing, hunting, camping, and water trail access. You can find information about each of the parks at www.madisoncountyconservation.org/parks/.